The Mayfair Round Fire Pit Table is part of a generous selection of fire pit tables that to match the Hanamint collections of the same name. 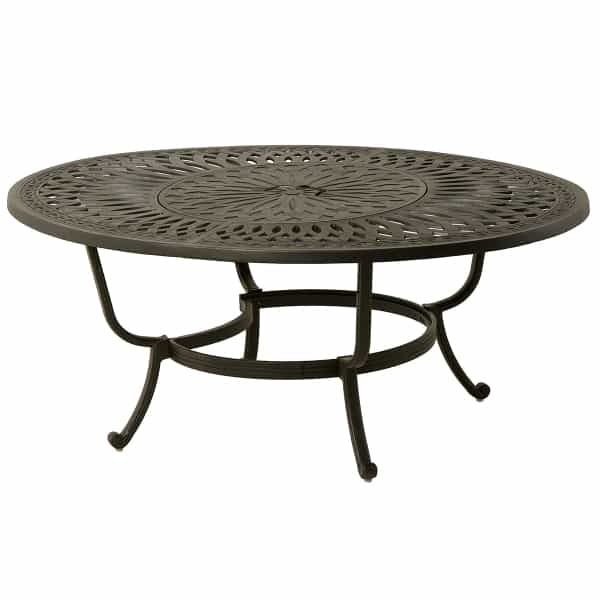 The Mayfair Round Fire Pit Table, then, features the same pattern as the Mayfair collection and matches perfectly with other Mayfair furniture. Or, it may integrate into other furniture collections or stand beautifully alone. 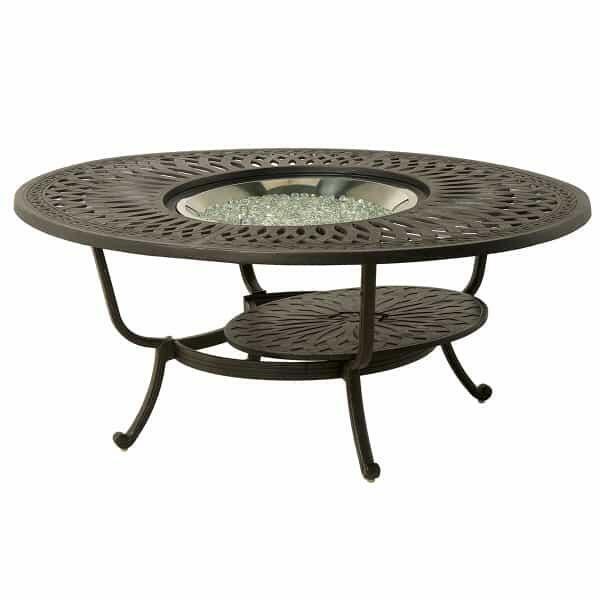 The Mayfair Round Fire Pit Table is meant to provide a carefree method for starting and keeping fires going in your back yard. The Mayfair ignites with a push button igniter and turns off just as easily. It gives of 60,000 BTUs of heat, whereas many fire pit tables that run on LP or natural gas give off much less heat. Hanamint changes the natural gas fire pit game in that way— it delivers real heat, and real grace, to your outdoor fire pit game.